Please select options for PMAS Velocity Cold Air Intake - No Tune Required (15-17 GT) at the top of this page. 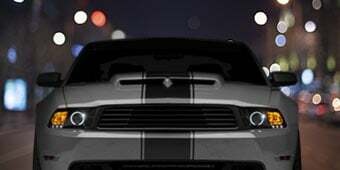 Hey, guys, Stephanie with americanmuscle.com, here with my overview and an install of the PMAS Velocity Cold Air Intake, available for the 2015 and up GT Mustang. This overview is gonna cover a few topics for the PMAS Velocity Intake, like what you can expect from this intake, some info about the components and construction, and some info about the install. The install for this is a simple one. It's a one out of three wrenches in the scale, but I will get more into that a little later on. The PMAS Velocity Cold Air Intake is going to be for the S550 GT owners out there, that are looking for a cold air intake, velocity stack combo. This intake is also for someone that's looking for a cold air intake that does not require a tune.This is an open element style intake with a separate aluminum mass airflow housing, so it's gonna give a different look under the hood. So all around, it's safe to say that this intake is a touch different than most other intakes out there. There are a few things that are gonna make this intake different than a lot of others that are available right now, but the big thing here is that this intake comes with a mass air flow sensor. This new sensor is going to allow you to run this intake with a massive mass airflow housing and inlet tube that the intake comes with without needing a tune and without getting a check engine light.The inlet tube and the housing are 120 millimeters, which is a big upgrade. And the other plus side of this, it doesn't void warranty, because you don't need a tune. PMAS does also offer this exact same intake without the new mass airflow sensor for $100 less, but you will need a tune to run that intake. The difference in these offerings is just the mass airflow sensor. This one comes with it, and so you won't need a tune, and the other one does not come with a new sensor, so you will need a tune. This intake is gonna come with a few pieces. You have your air filter with a velocity stack, in your inlet tube, clamps, a coupler, and mass airflow housing, your new mass airflow sensor, and your heat shield. And it's gonna come with all the necessary hardware that you need to get the intake installed. Now, I will say right away here that, because this intake does not require a tune, don't expect power gains from the intake alone. If you're looking for power gains, you'll need to pair the intake with a tune. So keep in mind that you always have the option of purchasing the tune-required PMAS intake if you're looking for the most gains possible with this exact intake setup.This intake does have a little bit of a different design when you compare it to other cold air intakes for the S550. It's designed to be as free-flowing as possible, and you're looking at the 120-millimeter intake tube with no MAF resolution loss and a velocity stack inlet design. Now, this is an open element design, which means that is doesn't have a closed air box. It does have this heat shield, which is designed to keep the hot engine compartment air out of the air box, and it is sealed. Taking a look at some of the components of the intake, the air filter is a reusable oiled filter. It's made from layers of cotton and epoxy coated wire screens for durability and for filtration. The oil is used to treat the cotton, to give it a tackiness and give it the filtration abilities that it needs. What's nice about the reusable filter is that you can clean the filter when it's dirty and reinstall it and not have to worry about having to purchase a new filter every time.When it comes to the intake tube, this does look a bit different than what you'd see with other intakes. This intake is about maximizing airflow, and you can see that the inlet tube is more of a triangle shape than anything else. And the mass airflow housing here is a separate aluminum housing, which isn't something that you typically see with cold air intakes for the S550. The majority of other cold air intakes have a one piece inlet MAF housing, unlike this setup here. One's not necessarily better than the other, but they do give different looks under the hood. Looking at the price for this intake, you can expect to pay close to the $400 mark. Now, like I said, this intake does have some features that most other aftermarket cold air intakes don't offer, like the separate MAF housing, the new MAF sensors, so you don't need a tune, and the velocity stack. So I expected this to be priced a little differently than the competition. The tune-required version of this intake is $100 less expensive, but just keep in mind that you will need a tune to run that intake, and that's why it's priced differently. As for the install, it's nothing too difficult, and, like I mentioned earlier, the intake will come with all of the items that you need to complete the install. This is probably one of the easier mods that you can tackle with your new Mustang, and it'll take about a half hour or an hour tops, and I'm going to call it a one out of three wrenches on our scale. All you really need to complete the install is a few basic hand tools. So what you're looking at needing to do is removing the factory air box. You need to disconnect the air box from the inner fender and remove the inlet tube from the air filter and the throttle body. We're just talking about a few bolts and clamps to get that done. This intake install's nearly the same way that the factory air box came out, so the install's pretty much the same as installing a factory intake. Just put on your new couplers and clamps, and slide the air filter and trout into place, and tighten everything down.Wrapping things up here, this intake from PMAS does not require a tune, and it has a large 120-millimenter inlet tube and a separate MAF housing. It also has a reusable air filter and includes a velocity stack to maximize airflow. This intake is a little bit different than others out there, so it is gonna look slightly different under the hood. 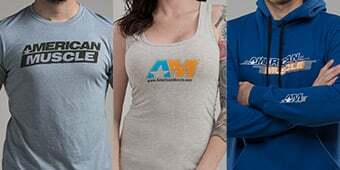 And as always, you can check it out more online for yourselves right here at americanmuscle.com. More Air For More Power. 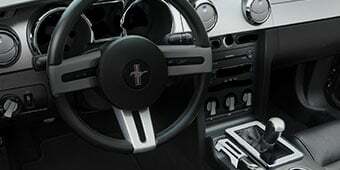 Are you a S550 owner that is looking to increase the horse power and torque of your 2015-2017 GT Mustang? If so, get rid of that restrictive stock air intake. The factory intake was designed to meet the requirements of a mass produced commuter vehicle, not the demands of a high performance muscle car. That is why PMAS designed their No Tune Velocity Cold Air Intake to significantly improve incoming air flow, when compared to stock, for a boost of horsepower and torque. After installation you will also experience a noticeable improvement in idling, throttle response and over all performance. No Tune Required. PMAS engineered their Velocity Cold Air Intake to improve the power and performance of your 2015-2017 GT Mustang without the need of reprograming the factory computer (ECU) for operation. However, they do recommend the use of a Handheld Tuner to reach even larger power gains, than just their Cold Air Intake alone. Unique Design. Designed with maximum flow as the first priority, this PMAS Velocity Air Intake was engineered with computational fluid dynamic “CFD” data for minimum restrictions. Featuring a patented mass air flow sensing system, this Cold Air Intake effectively uses a massive 120mm intake tube with no MAF resolution loss. The unique Velocity Stack inlet design maximizes airflow without turbulence for smooth, stable idle air flow which results in stock drivability. Reusable S&B Air Filter. The included high flow S&B Filter effectively filters out power robbing contaminants with its multi layer design. S&B Air Filters are made up of eight layers of specially treated cotton media that are mounted between two epoxy-coated wire screens. 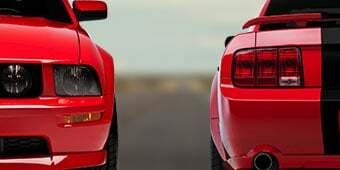 The red oil used to treat the cotton layers creates a sticky surface to capture harmful microscopic particles before they can enter your Mustang's engine. Seeing that the filter is reusable there is no need to buy a new filter every few thousand miles. You can just clean the filter, re-oil it, and reinstall - saving yourself money in the long haul. Straight Forward Installation. PMAS designed their Velocity Cold Air Intake kit to easily install in under an hour. Installation can be completed with just basic hand tools, no extra modifications or special tools are required. All necessary hardware and instructions are included. Application. This PMAS Velocity Cold Air Intake System is specifically designed to fit the 2015-2017 GT Mustangs equipped with the 5.0L Coyote V8 engine and does not require re-tuning of the vehicles computer for operation. Hello! The PMAS intake that requires a tune will likely produce a bit more power than the one that does not. Do you have to block the driver side heat exchanger vent so water does not pour on top of the air filter? Will the air aid poweraid throttle body spacer work with this and fit? I wonder bc its thicker it could push the pmas too far out and not be able to shut the hood. Hello, my question is when washing the filter does it also need to recharged with that red oil spray after? We would recommend spraying oil following the washing and drying steps. Hi! 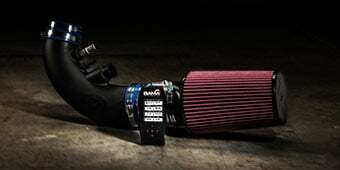 does this intake have bigger gains then the Airaid MXP Series Cold Air Intake w/ SynthaMax Dry Filter? thanks! In our testing, the PMAS Velocity Cold Air Intake has had very similar gains to the Airaid MXP Series Cold Air Intake with SynthaMax Dry Filter. Yes, any cold air intake that does not require a tune can still be tuned and in fact will give you better performance as well. 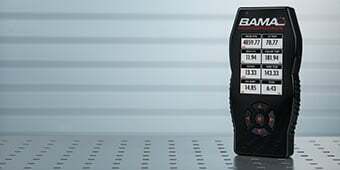 The PMAS Velocity Cold Air Intake does not require a tune, however, if your previous intake did require a tune, switching to this new intake would require a new calibration. 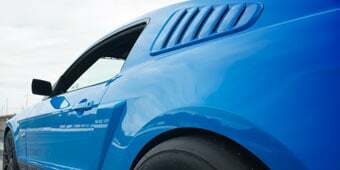 If your JLT intake did not require a tune, you should not need a tune for this new intake, however, depending on what the tune from VMP consists of, a tune would be recommended. The PMAS Velocity Cold Air Intake does not require a tune, and should run just fine on the Ford Performance tune. The air filter will be of a blue color. There is a special cleaner and oil specifically designed for air filter, and you can use them on this PMAS Velocity Cold Air Intake. Unfortunately, we do not currently carry the cleaner and oil, however, your local auto parts store should have some. The model that requires a tune is going to have a bigger diameter tube where the mass air flow sensor will be located. The model that will not require a tune will have a smaller diameter tubing at that same location. There is not an insert to be removed, you will only be able to purchase one or the other. The one that does not require a tune will still see benefit from combining a tune with it. Those are the numbers given to us by PMAS without a tune. You will notice a huge improvement with a tune but that will be with or without the intake. The intake will give a little more performance than it is now with the new tune compared to a stock tune. A easy way to gain power. Overall the PMAS cold air intake was a really nice piece to my car both acoustically and power performance. The pre-calibrated air flow sensor worked as intended making it a nice since I still have my warranty on my car. The only reason I am giving it a 4 star and not a 5 is because the heat shield to keep the hot engine air out is mediocre and when in town sitting at light for a extended period I do notice the intake air rises pretty high in some cases(150f ). As long as i'm moving a decent amount I am not running into this issue. Even without tune I can feel the extra horsepower. It seems to be more responsive to throttle and it sounds amazing inside the car. Hardest part is removing sound tube. Was very easy to install. The heat sheald was different than what was pictured. The sound tube delete was the most difficult part. On the 2017 you can get your hand down there you can pull it off the bolt pretty easily. The plug is plastic and not rubber which made it more difficult to put in. Install was pretty easy minus the removal of that ridiculous sound tube. Over all the car runs great and the sound is awesome! Only downside I have seen is a couple times at start up the car will shut itself off, my guess is its learning the new MAF? Other than that it is an awesome option and looks great under the hood! Looks sweet. Sounds awesome. Easy install. Aggressive look under the hood. the system was very easy to install, there was no mods to do, the unit fit right in were my stock unit was. they give you a relocation bracket for the coolant tank if you have the stock tank. but if you have an after market i didn't have to use it. the system is great, i did put a tune in it and the car is amazing the extra power is really there great, smoke the tires! 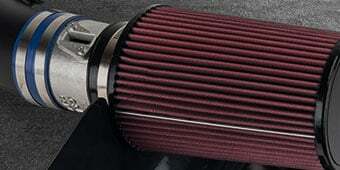 Love this intake I can definitely tell it makes a difference. 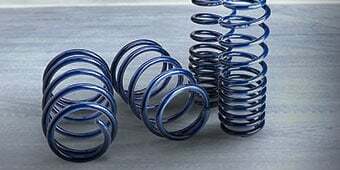 While there isn't a huge boost to performance without a tune, you can definitely feel the car pull harder when you get on it. Easy install, just watch the video for help. 5 stars for the product but 3 for the poor way it was shipped which is on American Muscle and not PMAS Item received with hardware scattered in box. All the needed hardware was still in the box however and the new heat shield was included as opposed to PMAS' original box style like the JLT which they were probably facing a lawsuit on. No directions were added in the box and clamps aren't that great. Intake is pretty big and you can easily here it when driving. It's pretty obvious there's gains front This intake as opposed to previous mustangs. This kit is straight foward to install but no directions are included. The kit is just barely to big not to fit, its a tight sqeeze but it does fit. The intale sound is amazing and is audible in the cabin under hard acceleration. I would give a 5 star review but no directions were included and they were hard to find online. I would recomend this product. 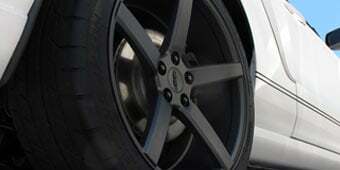 The Pnas intake was pretty easy to install just like another intakes, the performance is highly recommended. You can feel the power especially with a bama tune.